Av for å få juletreet … med hjelp av vårt dra pups! ( Off to get the Tree with the Pulling Pups!) | Vermont Paddle Pups! Yes, off to get the tree. 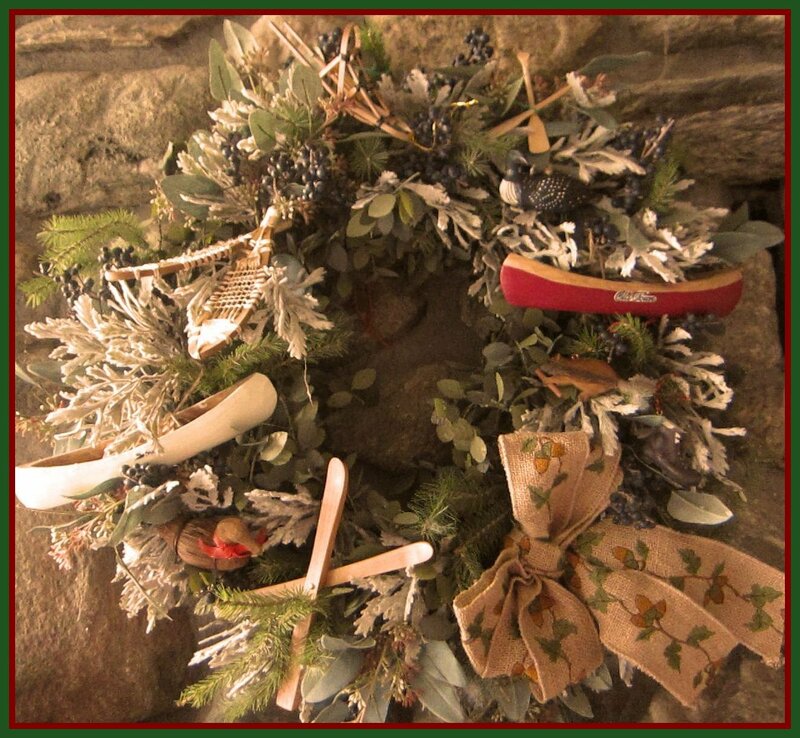 The wreath is hanging in it’s place of honor over the mantle, and it is now time to bring a balsam companion into our home. 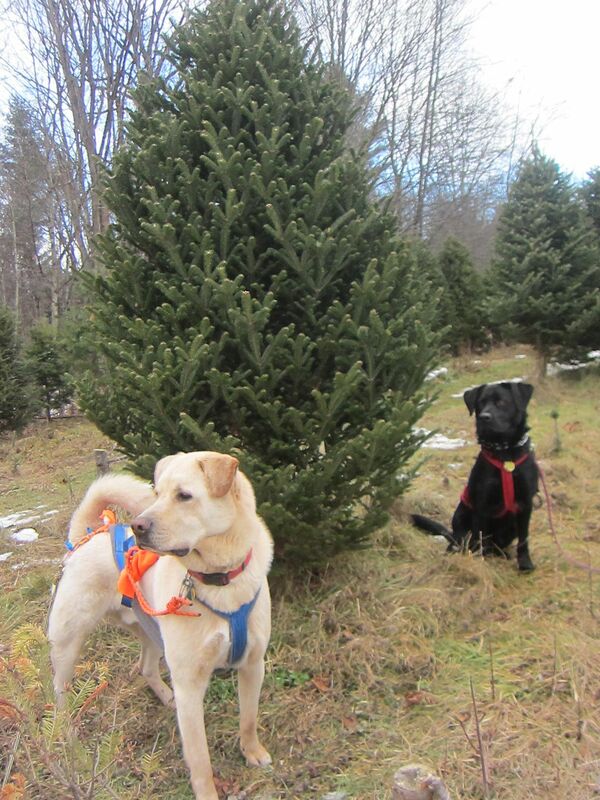 For the past 2 years, Griff has helped us pull out the tree after we cut it, and this year, Edgar will join us. We’ve lost most of our snow, but have lovely patches of grey frozen crust, and frozen brown mud. The dogs had a great time snorffling through the ground cover, where many a field mouse had burrowed. 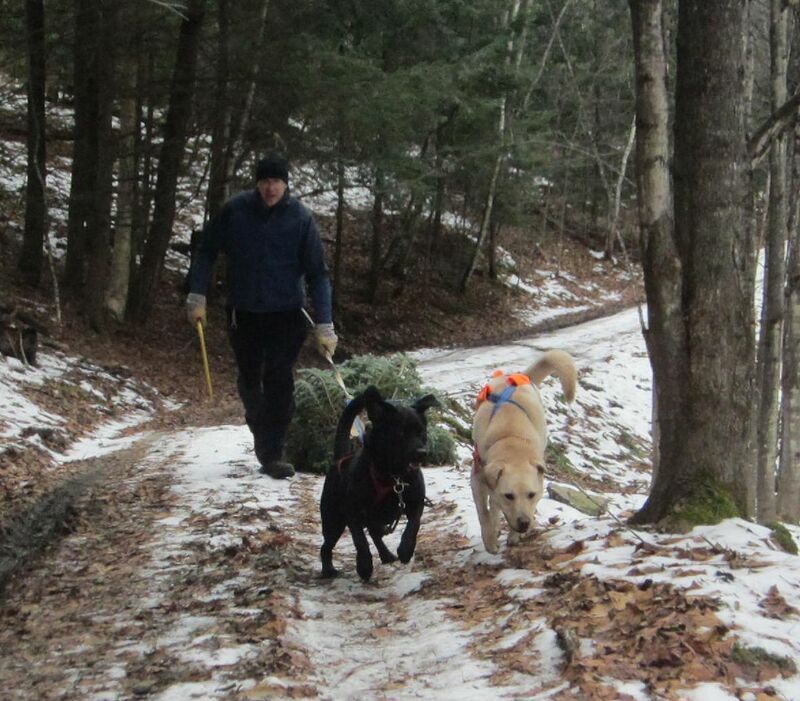 We selected a fine tree, hooked up the dogs, and headed down the trail. With a great deal of speed and power, off they went…running almost side by side ( we did not use the neck line), and back down to the car. The dogs are now resting comfortably, having earned the right to spend the rest of the day lounging! ← A Snowy Hike to our local paddling spot…..